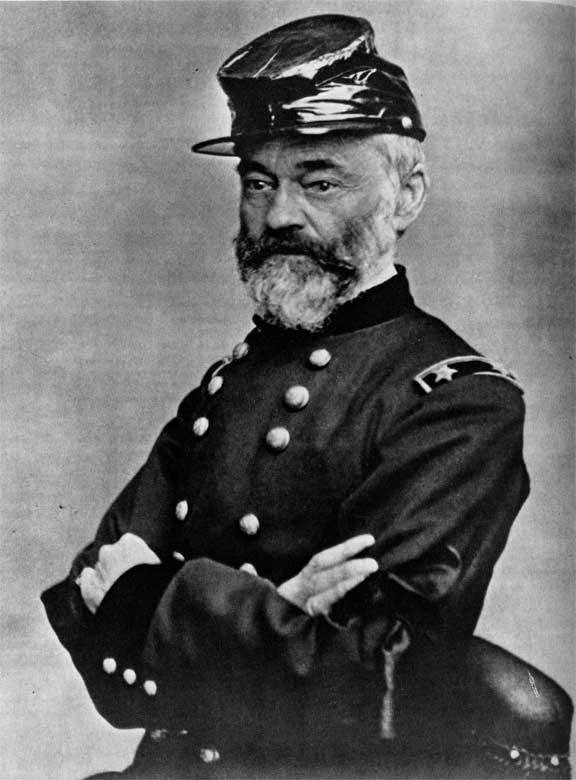 In March of 1851 Bvt. 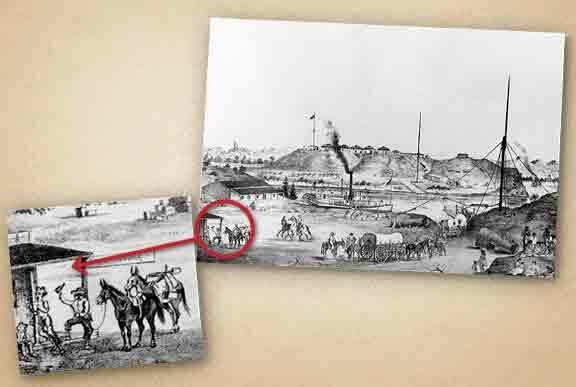 Major Samuel Heintzelman established the new location of Fort Yuma up on top of the bluff that abuts the west bank of the Colorado River. A ferry had been in service at the crossing since 1849 when 60,000 gold seekers needed a practical crossing to make their way to California. There was some serious money to be made, since, according to Charles Poston, one of the owners of the ferry, Louis J. F. Jaeger, charged $25 to cross, and this was 1852 money! 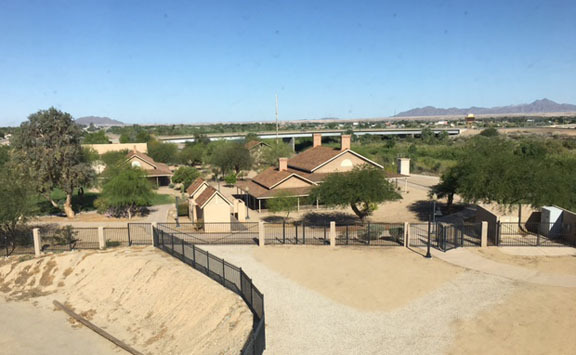 Daily Whip Out: "Yuma Crossing In The Days of Sarah Bowman"
Fort Yuma sits on the California side of the river just below the confluence of the Gila River, coming in from the right, and the Colorado River, angling down from the north. After the ferry moves wagons, horses, oxen and families across the surging waters (the width at the confluence was measured at 500 yards wide), the road then crosses the treacherous sand dunes (where many movies, including Star Wars, have been filmed), with the road running parallel to the California's southern border, see inset, and arrives in San Diego, some 200 miles distant. Albert and Sarah Bowman arrived sometime in December of 1852. Sarah also brought along several homeless Mexican and Indian children (the census records say 5) she had adopted in New Mexico. Not long after, the first steamboat, the Uncle Sam, arrived, chugging up from the Sea of Cortez. The captain of the 65-foot-long boat (powered by a dinky 20-horse-power-engine), Capt. James Hobbs recalled meeting Sarah at the crossing: "At Fort Yuma I met a very large Irish woman called 'The Great Western' whom I had seen at Saltillo. . .she was noted as a camp follower in the Mexican War, was liked universally for her kind motherly ways. . .She complained that Fort Yuma was the hardest place to secure any fresh supplies that she had ever seen, and begged me to sell her a beef. I sent her one as a present." For the first part of her stay at the crossing The Great Western lived on the west side of the river where she was engaged as a cook for the officers: "The Western is installed as keeping the mess for Lt. McLean and Bond and the doctor," wrote Heintzelman in his journal. Things went well for The Great Western until the early part of 1854 when some people in San Diego got wind of Sarah's adopted children and were horrified that they were being cared for by a known woman of "ill repute." They threatened to come take the children away from Sarah, who went to Heintzelman for help. The major, who owned an interest in the ferry and also land across the river, helped set her up on a piece of land in Sonora, Mexico, right across the river. Daily Whip Out: "Sarah's Beanery Across The River In Sonora"
So Sarah opened up a restaurant, bar and boarding house right on the Gila Trail. With the Gadsden Purchase this area eventually became part of the U.S. but by then the threat of removing her kids had passed. 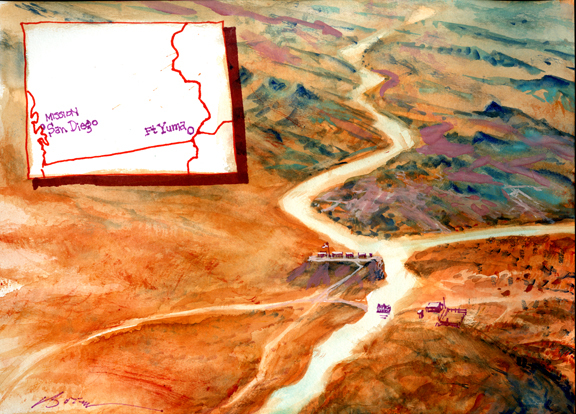 Thus, The Great Western became the first resident of what would later become the town of Yuma, Arizona. 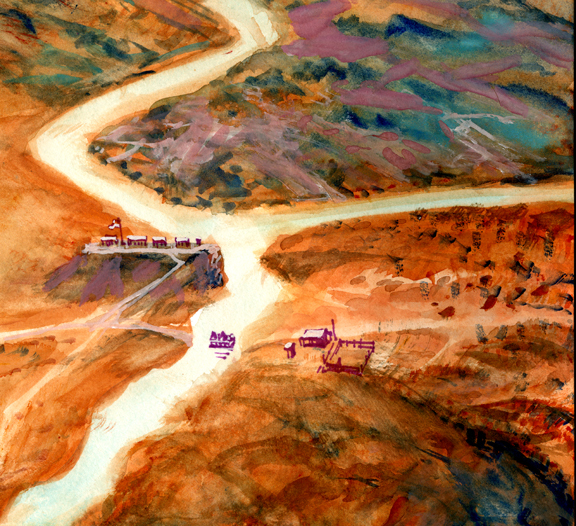 The Colorado River State Historic Park. set up shop across the river in Sonora to escape the do-gooders in San Diego. "She was a lesson in the complexity of human nature."